One iconic car. An unbeatable choice. Who doesn’t love a great deal? §Up to $4,000 in cash discounts on all in-stock 2018 Volkswagen Beetle models. Dealer participation required. 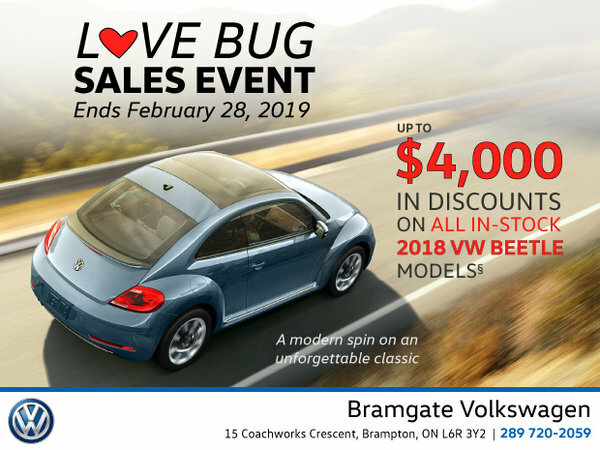 Please speak with your Bramgate VW Sales Consultant for full details. Vehicle may not be exactly as shown. Offers end February 28, 2019 and are subject to change or cancellation without notice.